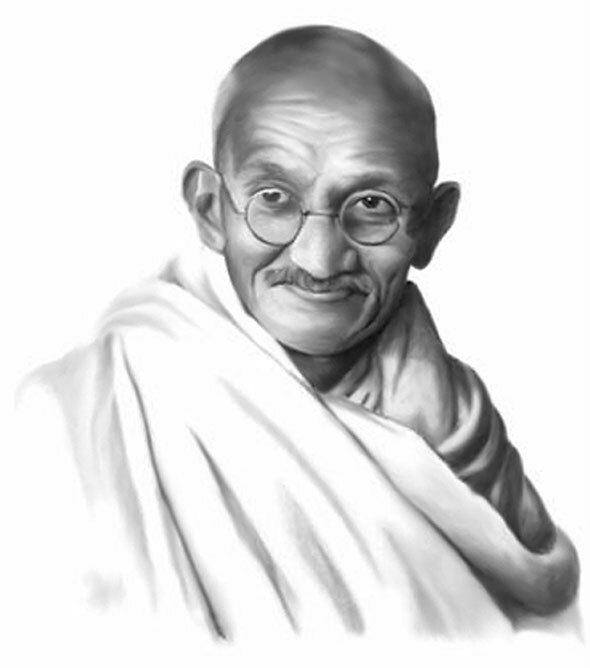 Mohandas Gandhi was born on October 2, 1869 in Bristish India. He became the pre-eminent political and ideological leader of India during the Indian independence movement. He pioneered a belief in resistance to tyranny through mass civil disobedience, based on total nonviolence. This concept helped India to gain independence, and inspired movements for civil rights and freedom across the world. Leaders of the civil rights movement in the United States, Martin Luther King and James Lawson, drew from the writings of Gandhi in the development of their own theories about non-violence. Anti-apartheid activist and former President of South Africa, Nelson Mandela, was inspired by Gandhi.